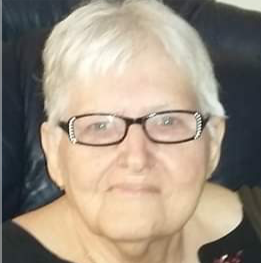 Ms. Bobbie Jean Peavy, age 67, passed away at Mullins Nursing Center January 28, 2019. Ms. Bobbie was born June 17, 1951 a daughter of the late John and Lilly Cooper Peavy. She attended Happy Home Baptist Church and was predeceased by one sister, Marilyn Rich, and two brothers, Jimmy and Robert Peavy. Ms. Bobbie loved her grandchildren and will be remembered as an amazing mother and grandmother. Ms. Bobbie is survived by a daughter, Christina and her husband Burnie (Chad) Squires, three brothers, Larry Wayne Peavy, Bollie Peavy, and Billy Peavy, two grandchildren, Summer and Hailey Squires, and her special nieces, Stacey Peavy Brown, Jeannie Burroughs, and Sabrina Cox. Visitation will be held Wednesday January 30, 2019 from 6:00-8:00 PM at Johnson Funeral Home. Funeral services will be held 11:00 AM Thursday January 31, 2019 at Happy Home Baptist Church with the Rev. Roger Chestnut officiating.